FRANKFURT -- Robert Bosch announced a new code of conduct for staff, along with an improved exhaust control technology, as it strives to draw a line under an emissions scandal that has tarnished diesel engines. Bosch said it would teach 70,000 staff a new code of conduct for developers by the end of this year in an effort to change the "mindset" of the German supplier. As part of the new rules, it will be forbidden to permit the installation of functions that automatically help a vehicle recognise when it is being subjected to an emissions test, and Bosch products are not allowed to be tweaked to help a manufacturer pass a test, the company said. "We view the principles as a way to guide and motivate our engineers," Bosch said. 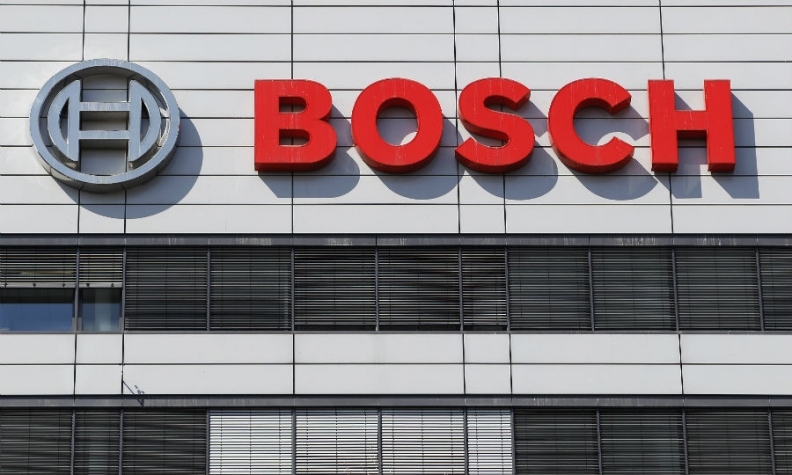 Prosecutors in Stuttgart are probing several automakers and Bosch for their suspected roles in using an engine control unit, EDC17, to cheat exhaust emissions tests. Volkswagen Group used the unit in its EA189 diesel engine, which was found in 2015 to artificially throttle back real-world pollution levels during a regulatory test cycle, triggering a global crackdown on automakers and toxic pollution. Earlier this month, prosecutors seized an unknown number of files at Volkswagen's sportscar brands Porsche and Audi. Using software, some Volkswagen cars could detect when they were being subjected to an emissions test and increase the effectiveness of exhaust filtering systems to temporarily keep emissions within legal limits. Bosch has said manufacturers, not suppliers, are legally responsible for ensuring vehicles obtain road certification by legal means. It has said it takes allegations of engine manipulation "very seriously" and is fully cooperating with authorities. Bosch also said on Wednesday it had developed a new exhaust emissions treatment technology that cuts pollution from health-threatening nitrogen oxides (NOx) to 13 milligrams per km, well below the current legal limit of 120 milligrams. The new system costs roughly the same as a sophisticated exhaust filter system included in high-end diesel vehicles, Bosch said. "This breakthrough offers the opportunity to shift the heated debate over diesel into new territory and, hopefully, bring it to a close." Chief Financial Officer Stefan Asenkerschbaumer said Bosch had set aside 1.2 billion euros ($1.5 billion) to cover potential risks stemming from antitrust probes and an investigation into diesel-emissions cheating. That is up slightly from the 1.1 billion euros announced last year. Bosch said electric cars will not become a mass market phenomenon until at least 2020. "Until electromobility breaks through to the mass market, we will still need these highly efficient combustion engines," CEO Volkmar Denner said.